“Hey, guess what?! We’re in Oregon!” We had been driving all day and were just about out of daylight when we spotted the beach below. A sharp right looped us around, downhill to the Heceta Head Lighthouse beach. Cliffs of mossy green forest over looked expansive empty beaches. I was starting to think we had been spending Octobers in the wrong state. 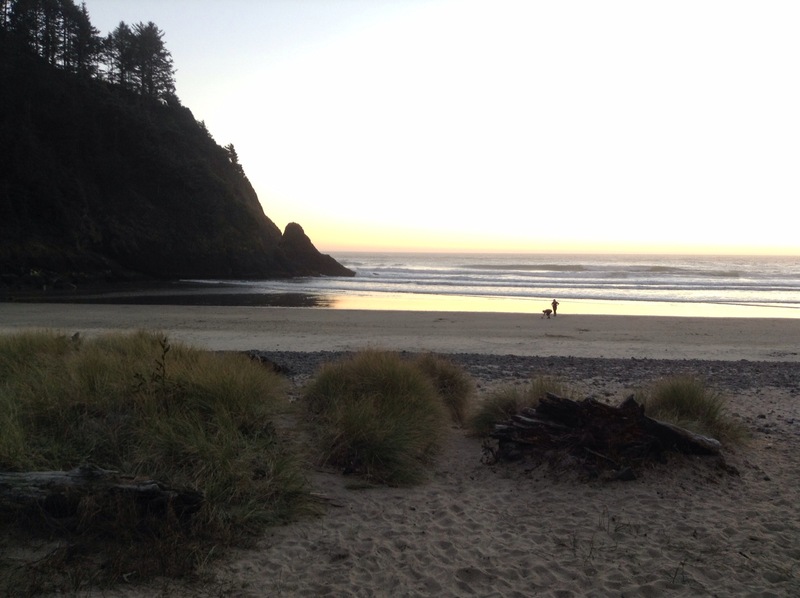 This Oregon Coast was unlike anything I had seen before. I do a 360 turn, and try to breath in the fresh mix of sea and forest air. The ocean extends further than the eye is capable of seeing, and the forest of trees just as high. We had been meandering in and out of a continual tunnel of trees since moving west of the 5, out of Sutherlin, towards Elkton, following the 38 along the Umpqua river to Reedsport and the 101. River, river, creek, forest, creek, forest, river….. ocean! All crystal clear and fully alive. We had sat on my family’s back porch the day before, going over ideas for our next potential destination. Scope out Mammoth and Tahoe, or Colorado for possible snowboard season destinations? Back to Ventura for a few more days of surf and just start heading home? All sounded good, but we’d seen them before. Oregon was not the most direct route back to Texas, but it was the adventure option.